The team at JIAB is excited to announce that we get to be a CoHost for the much-anticipated Multicultural Children’s Book Day (MCBD) 2019 (1/25/19)! This is a huge honor and we couldn’t be more excited! MCBD is a non-profit that works with authors to get their books reviewed during our online event and also works to get free diversity children’s books into the hands of young readers. The online event/holiday takes the last Friday of every January so this year it will fall on 1/25/19. In our 4th and 5th year, the event brought in over 3 billion social media share impressions and we expect the same sort of buzz and traction for their 6th year. So what is a CoHost? MCBD CoHosts are a group of hand-selected, powerhouse bloggers and parents who all share the same passion for reading and understand the importance of diversity in children’s literature. They also act as ambassadors for MCBD’s yearly event by assisting in spreading the word, extending the event’s reach through social media and acting as hosts sites for the wildly popular book review/blog post-link-up that occurs on the actual day of the holiday. As we enter the 6th year of this online, non-profit event, Jump Into a Book is proudly one of 24 CoHosts for the 2019 event and WOW, we are in some pretty impressive company! The following list is a special group of hand-selected children’s book advocates, writers, and bloggers who work with the MCBD Team in extending the reach and spreading the word of Multicultural Children’s Book Day. These CoHosts and Global CoHost’s sites will also host the wildly-popular book review/blog post-link-up that occurs during the last week in January. We would appreciate if you could take a few minutes and visit each of these excellent blogs. These reviewers and powerhouse bloggers were selected by the MCCBD team because of their true dedication to supporting diversity in children’s literature. A Crafty Arab: Kay Tarapolsi is a Libyan American artist who creates art to promote a positive image of Arab culture. Kay creates handmade Arab, Fa rsi and Urdu crafts and cards. Check out her wares on Zibbet (www.ACraftyArab.zibbet.com), Amazon, Etsy or select stores in Seattle, WA, Dearborn, MI, and Washington, DC. The Arabic Alphabet Animal Poster became an idea back in 2002 when Kay received an alphabet poster (in English) by Jill M. Schmidt, a published illustrator of children’s books. Kay realized there was a need for an Arabic poster that was bright, fun and colorful and began working with Jill in 2010 to create this product line. Kay teaches Arab art education to various schools in the Pacific Northwest and has been an artist in residence in several summer camps. I’m Rebekah. 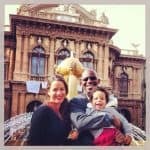 Mommy, kidlit nut, social justice crusader, and your companion on the journey to raising little global citizens who are ready to change the world. From deciding I create a found worker rights nonprofit when I was fresh out of seminary, to helping my5-year-old write a letter to our Senator about ending deportations, I’ve always had this crazy idea that my life could be aligned with my purpose. I believe that as parents, we have a purpose that’s even bigger than helping our kids become successful. We can help kids discover how to make our world a compassionate and fair place for every child on this planet. We can show them how to become Justice Kiddos. Bethany Edwards is an elementary educator and reading specialist with experience teaching in the US and in international schools. 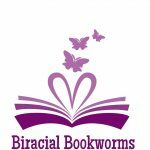 She also offers reading courses for parents/caregivers at Biracial Bookworms Academy. 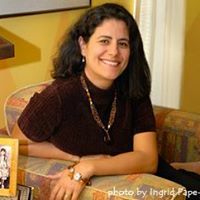 Her goal is to help parents and educators raise readers, activists, and leaders using multicultural and diverse books, culturally rich experiences, and learning multiple languages. Books My Kids Read – Michelle is a parent of two girls and a lover of all things children’s literature. Her blog was born out of a need to find appropriate re ading material for her advanced reader and has turned into a place to share interesting books that her family has found. 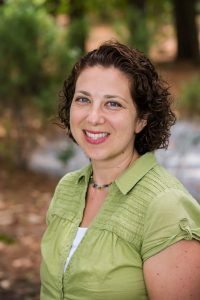 Michelle’s passion for multi-cultural children’s literature stems from the fact that she is raising her girls to be Jewish in a community where they are in a complete minority. In addition, she loves finding books with really strong female characters who stand up to outdated traditions. 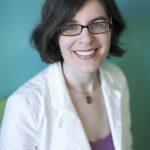 When not blogging, Michelle writes for a local magazine, teaches Hebrew school, and shares her love of books by being an independent consultant for Usborne Books & More. To view the rest of the rest of the impressive CoHost, visit the CoHost and Global CoHost Page on the MCBD site HERE. Donate Books: For our next online event (1/25/19) we will have hundreds of book reviewers signed up to review diverse children’s books on their blogs or on Instagram, Facebook, and YouTube. Authors and publishers have the option of offering copies of their multicultural children’s books to our reviewers to review and write a social media review about. There are no guarantees that we will be able to match your book to a reviewer(s), but if this interests you, let me know. We will provide you with names and addresses and you mail your book directly to the reviewer. Go here to sign up as a book donator and send a copy diverse book to the below address. The book you send will then be donated to a classroom. **NOTE: We do not limit book reviewers to just bloggers. There are so many book-loving moms who have vibrant social media channels we have opened up review options to include social media to give those who are not bloggers a chance to share books with their followers. Multiple options for Sponsorship: Sponsorship is not only a great way to support this event; it is an excellent way to get your name (and your books) in front of thousands of readers. All of our Sponsors get a name mention within the hundreds of reviews that get posted from December to January 25th and also on the sites of our 20+ CoHosts sites. The first consideration for matching books to reviewers always goes to our paid Sponsors first as well. 4. Be a Book Reviewer! If you love diverse books for kids and have a social media platform to share a review on, MCBD wants to give you a FREE diversity book to review! In a nutshell; you don’t have to be a blogger to review multicultural children’s books for the MCBD 2019 online event. You just need to have a love of diversity in children’s literature and be willing to share on your social media platforms such as Facebook (Pages only), Twitter, Pinterest, Instagram, or YouTube.